A good morning to you. I had an extremely busy weekend with emergencies, but one in particular stood out… a dog younger than Lewis was suddenly weak, and short of breath. On examination he had a fever, and ALL of his lymph nodes were enlarged. 1. 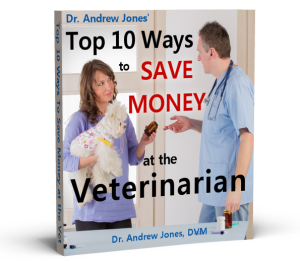 It seems that every single year I’m asked to treat more and more dogs and cats for cancer. 2. It seems that on average, the pets that are being brought to me for cancer treatment are much, much younger than ever before. 10 years ago it was rare for me to see a dog or cat that was under 10 years old come down with cancer. But now it seems like that is no longer the case. There have been plenty of recent studies to confirm my findings, and it’s a fact – more and more pets are coming down with cancers … and at much younger ages than ever before. We are also seeing a lot more allergies, a lot more skin and gum disease, arthritis, kidney problems… and especially auto-immune diseases – diseases in which a dog’s own immune system turns on them and begins attacking their healthy blood and skin. 10-20 years ago, many of these deadly and painful diseases were almost non-existent. When I first began practicing 15 years ago, I never saw this stuff. With the advances in veterinary medicine, shouldn’t cancer and other diseases be occurring LESS? There are 3 MAJOR CAUSES… and some very important things that you can do to decrease the likelihood of Cancer affecting your dog or cat. 1. OVER-VACCINATION. Vaccinate with as little and as infrequent as possible. 2. ENVIRONMENTAL TOXINS. Avoid what you can, and Supplement your dog or cat. 3. POOR QUALITY FOOD. ONLY feed quality food… and NOT only Kibble. It’s Your Pet… Heal Them At Home! Hi, it really breaks my heart to hear stories like this! I guess I’m lucky that I have a great vet for my cats (36 at the mo, I foster and rescue unwanted cats)who really cares for them and, even if we differ in opinion a bit re diet and vaccinations, she respects my ideas, and sees the great results I consistently have. Also have always had great luck with my dogs vets, both homeopathic, and standard. Here in New Zealand the Vet course at uni is THE hardest to get into, and to pass, so we have some of the best vets in the world, unfortunatly we loose alot of them to the rest of the world!! I’ve not fed my pets processed food for over 10 years now, and aside from the odd check up, or wound that needed stitches, I haven’t needed the services of a vet for years, smaller wounds (inc deep ones) once washed out with saline (for IV use, so clean) have always healed cleanly and rapidly, rescues that come to me with all sorts of problems are healed much faster (than the vet expected) and with no reoccuring problems, and in more than one occasion when a vet has given up and advised me to euthanise I have proved them wrong!! Lots of love and healthy food/lifestyle can do miracles!!! Thanks for your efforts in tryn to educate people, 1 step at a time, we’ll put those $$ hungry, pet killing,… industries out of business!! PS: how do you recognise a dog fed Eukanuba?? -By the yellow grass in his back yard. (real healthy….NOT)! I have 5 dogs and 5 cats. My dogs eat lamb and rice dog food and right now I give them summer sausage, pepperoni, and salami, stuff that they use to make pizza with. I never eat that stuff myself but I found that my dogs love it and don’t like the dog biscuits or rawhide chews very much. None of my dogs have ever been vaccinated. They all had porcupine quills when they were younger. I don’t let them run wild and made a chain link fence for them. They have about 3 or 4 acres of fenced in area to run around in. I find that they spend a lot of time sleeping now and stay in or around the house now. They are now 7 1/2, 8 and 9 years old. The only dogs that I had that died on me, were the mother of these pups who died when they were 8 weeks old. She had gotten with a porcupine when she was pregnant and again after the pups were older. Another dog, Peter, died when he was 1 and a half. I don’t know what from. He was whining a lot and one morning I found him dead. Then I had a pup who was sick right from 5 weeks old when I got him and he died when he was 6 months old. Don’t know where to start. Awakened this morning shaking and crying over the loss of my Nell a Sheltie. She, had lymphoma and enlarged spleen and to keep her from suffering had her uthanized. The, love we shared was something special. She, was used for breeding for the first 5 yrs. of her life but her last 7 was spent with someone that loved her deeply.